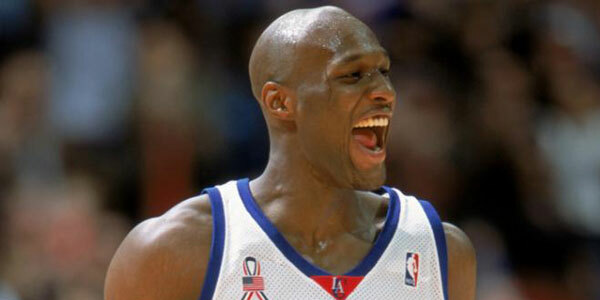 From the day he was drafted by the Los Angeles Clippers, Lamar Odom has been my favorite player in the NBA. I’ve always possessed a deep passion in watching players who can affect a game in a variety of ways without necessarily putting the ball in the basket. Lamar Odom sort of embodied that to me. He could handle the ball and pass like a point guard, rebound like a power forward, and could defend inside and on the perimeter (at least until he married a Kardashian). Lamar could score if his team needed him to, but was content doing lots of other things, which were just as necessary. For a long time, I’ve wanted to write a piece about my favorite players in the league who I admire for many of the same reasons that I admire Odom. It’s never really come together until now. I set a few rules for myself in picking this team. First and foremost, no superstars make this list. There’s nothing fascinating about reading why I love watching Lebron James, Kevin Durant, Chris Paul, et al. The same thing goes for Dwight Howard, Carmelo Anthony, Paul George, James Harden, and the like. And the ultimate sign of respect I can give Anthony Davis is to already declare him “too good” to make this list. Some of these players certainly could end up as stars, but none of them are now at this moment, except for one, who gets inclusion on this list because he is an underrated star. Lawson is Denver’s lone holdover from the Carmelo Anthony era. The Nuggets’ response to losing a superstar to a large market was to shift their roster model to more of an ensemble approach. However, since Anthony has left, Lawson’s role has done nothing but grow. He’s become the engine that drove the Nuggets up tempo approach at the end of the George Karl era. And last season, he was the most valuable player by a large margin on a team that won 57 games and landed as the #3 team in the East. Unfortunately, he was outplayed (bit not by much) by Stephen Curry in the playoffs and was out in the first round. None of that should diminish who Lawson has become. He is a trule floor general on the offensive end. He is equally adept at being the main scorer or being a facilitator who sets up teammates. Although his defense is not great, he has active hands and good speed. His ability to push the pace and his impeccable judgment on knowing when not to are invaluable skills in tandem. His shot selection is normally pretty good although that’s waned some this season as he’s playing in Denver surrounded by more than a hand full of tomato cans. The bottom line is that Lawson may not be a super star, but he is under appreciated for the integral role he has played on a consistently successful Western Conference playoff team. That makes him a star in my book and the captain of the LO All-Stars. Dragic first caught my eye early in his career when he was Steve Nash’s backup in Phoenix. In an second round playoff game in 2010, he scored over 20 points in the last eight minutes of the fourth quarter to bury the San Antonio Spurs. What struck me the most about Dragic is the fearless nature of his game. He attacks off the dribble like an animal yet maintains keen court sense and impressive overall awareness. While in Houston, he seized an opportunity to start in the lockout shortened 2011-2012 season when the Rockets’ starting point guard Kyle Lowry went down with an illness. Lowry, much to his chagrin, never got his job back. You can use whatever clutch cliché you want but the bottom line is that Dragic has a confidence late in games combined with his ability that makes him an assassin. He ended up in an interesting position this season with a supposed tanking team who brought in a player in a trade in Eric Bledsoe that they earmarked as their new franchise point guard. Dragic was seen as a trade chip. New Phoenix head coach Jeff Hornacek made the commitment to start Dragic and Bledsoe together in a two point guard look that has been absolute gold largely because of Dragic’s versatility and willingness to craft his game around Bledsoe’s strengths. They push tempo well and are quite comfortable deferring to one another. Soarin’ Goran has improved every year and along with talent, has that extra intangible something that makes for winning basketball players. When Jones was at Kentucky, I felt like if he could ever add some discipline to his game, he had one of those diverse skill sets that could result in stardom. I look at him as a slightly shorter version of Lamar Odom with a lot more athleticism. The title of this column gives an indication of how much I love Lamar’s game. Jones can be better. There’s things that Jones can do on the defensive end of the floor that Odom could never dream of doing. Jones has emerged as an ideal frontcourt partner for Houston between Dwight Howard and Chandler Parsons. He is a capable perimeter defender. He rebounds very well although he needs some wok on his boxing out. He is a good leaper so he blocks shots very well. He has the ability to score both inside and outside although he’s at his best off the dribble. However, his most important and most useful skill is, like Odom, his ability to initiate offense as a secondary ball handler. Jones has good enough speed and handles the ball well enough that he can consistently push the ball up the floor effectively off of his own rebounds. When the Rockets signed Dwight Howard, the prevailing thought was that they would move their center Omer Asik somewhere to acquire a big forward to play next to Dwight. Finding that big forward is no longer a need. Jones has filled it in a better and more effective way from a chemistry standpoint than the Rockets ever could have in the trade market. Now they have the luxury of trading Asik for the best possible offer. Plus, Jones’ 36-point, 11-rebound effort in Milwaukee last week gave a glimpse into his star potential. Jones may be my favorite player on this list. Splitter is a highly efficient big man who specializes in defense and rebounding. He plays the pick and roll very well. He’s also quite a good post defender. His offensive game is relatively simple, but extremely fundamental. Much to his head coach’s Greg Popovich’s chagrine, Splitter is prone to the occasional bone headed play. However, he does so many good things and has developed such great chemistry with Tim Duncan that it’s worth it. One of the better compliments we’ve seen opposing coaches give Splitter is to play smaller lineups against the Spurs with the thought of making the Spurs match up small and force either Splitter or Duncan to the bench, more likely Splitter. His pick and roll defense in the Spurs 2nd round playoff victory over Golden State was a thing of beauty and was a very important factor in taking the air out of an offense that was on absolute fire. The Heat went small a lot in the finals which made Splitter less of a factor. It’s impossible to understate Splitter’s value to the Spurs. His first year, he couldn’t get off Popovich’s bench, primarily because he had no idea how to work off Duncan inside and didn’t appear to be interested in trying. Year two, Splitter played very well but was mostly used in place of Duncan as opposed to with him. Last season, Splitter’s third with the Spurs, he learned how to fit next to Duncan like a glove. He took the tougher low post matchup freeing Duncan up to play a weaker matchup. Splitter has had his struggles at the free throw line, but he’s leveled off at a somewhat disappointing number of 67% for both this season and his career. A big like Splitter who’s so fundamentally sound off the ball is exciting. There was something about Mozgov that I really liked from the first time I watched him play. He’s a legitimate 7 ‘1” and he can jump. He has good help defense instincts and never had any issue being physical. He also had a little touch around the basket on the offensive end. The overriding problem with Mozgov was a lack of awareness of his own body on the court. This made him incredibly foul prone with a particular knack for fouling at the wrong time. Mozgov got traded to Denver in the Carmelo Anthony deal. He owns the distinction of being the player Donnie Walsh wanted to blow up the deal over. When George Karl was the head coach in Denver, Mozgov didn’t get a big opportunity. Part of it was Karl’s lack of patience with Mozgov’s propensity to foul. However, last season’s burying on the bench was clearly on Mozgov for showing up to training camp out of shape and subsequently hurt his knee. When Karl was replaced in the offseason, Mozgov got a reprieve. Denver traded starting center Kosta Koufos with the thought of elevating Javale McGee. McGee didn’t play well early and has missed the balance of the season due to injury. Although Mozgov has remained a bench player, he’s having the best season of his career. His rebounding has been very good. He’s also been protecting the rim better than he ever has and he’s scoring the at a career high clip as well. Mozgov isn’t a star by any stretch and will never be one, but he does enough important things well off the ball as a big man that he’s very valuable. Butler is in his third year and very frankly has taken a step back in his development this year. He still exhibits his trademark intense defensive effort, which frankly is what gets him on this list. Butler has the potential to be an above average shooter as we saw last season when he shot 48% from the field and 38% from behind the arc. This year, his shooting has been pretty bad. There could be a variety of reasons for the poor shooting not the least of which could be injuries, but it’s most definitely the part of Butler’s game that needs the most improvement. Even with Butler struggling shooting the ball, he does so many useful things on the floor that he still makes an enormous contribution. He is a relentless smart perimeter defender. He’s athletic enough to make life difficult for any big time wing player in the NBA. He functions quite well within an offense as a secondary ball handler. He’s also a smart shooter. Although this season, he can’t hit a bull in the backside with a bass fiddle, his shot selection is smart. He doesn’t keep shooting when he’s missing a lot of shots, yet he will still take appropriate shots within the offense. For a young player, he has a lot of court awareness. His head coach, Tom Thibodeau has bestowed the ultimate compliment to him. Luol Deng has historically been Thibodeau’s workhorse as far as minutes are concerned. In Deng’s absence, first through injury and then through trade, Thibodeau has leaned on Butler hard. In last year’s playoffs, Butler logged a handful of 48 minute games. In a triple overtime game versus Orlando earlier this season, Thibodeau used Bulter for 60 minutes, and he was fresh off an injury. Butler is always in tremendous condition and never stops giving effort. That type of motor is a unique asset and with Butler’s other skills, it makes him a special player. Stephenson was a second round pick largely because he was a major behavior problem. He was in constant trouble and came out of college way before he should have but Pacers president Larry Bird saw something in him and drafted him with the thought of developing him. Stephenson got his big break the beginning of last season when Danny Granger was injured to start the season. Stephenson took that starting job and hasn’t let it go. He’s done nothing but improve every aspect of his game. Furthermore, he’s channeled his rambunctiousness into constant energy and passion on the court that the Pacers feed off of. Stephenson has become a very good defensive player. He’s not only very quick on the perimeter. He’s also a physically strong player who’s not afraid to throw his body around. He’s a premium athlete who is very good on both ends of the floor in transition. He’s also such a good ball handler that he will play point guard for significant stretches. His shooting still needs work, but improves every year. He’s still a below average three point shooter and at 3 per game, that needs to get better but he keeps inching slowly towards the league average. Stephenson has been a godsend for Indiana. Because f his presence, they can match up athletically with Miami’s strong perimeter personnel and without matching up with Miami, Indiana can’t get to the finals. He’s part of a five man starting unit that have a unique chemistry both on and off the court. Stephenson’s ability to fit in with this group is another major asset. Even with the angry edge he exhibits on the floor, he’s still a very good team player. The LO All-Stars need a guy like Lance. This was a selection I made before he went crazy for 51 points in a January game, I swear. However, I have to say, his shooting performance in that game didn’t discourage me from picking him. Ross is a valuable guy in today’s NBA. He’s not only a 3-D guy (hit 3s, plays good defense), he’s also a really good athlete who is capable of creating his own shot as we saw in his 51 point explosion. Ross got his big chance earlier in the season when Toronto GM Masai Ujiri traded Rudy Gay for a semblance of bench players. Ross was elevated into the starting lineup and has frankly been a much better fit. Since he’s comfortable as a spot up perimeter guy who doesn’t use a ton of possessions, his presence has allowed for Demar DeRozan and Kyle Lowry to both be more ball dominant, which is a very comfortable role for both. He’s also a capable perimeter defender who keeps improving, which was an upgrade from Gay. The future of this Toronto team is a tad murky right now. This surprisingly competitive season has put Ujiri in a tough spot. Selling off important pieces from a division leader undermines the building of a winning culture. Conversely, this isn’t the core that a title contender is made out of. An opportunity to be in this year’s lottery has the potential to yield a significant building block. Whatever direction they go, Ross is going to be a keeper. When David Lee got hurt in the first game of last year’s playoffs, Golden State head coach Mark Jackson installed Harrison Barnes at big forward. The Warriors took to the 4 out 1 in offensive approach and was able to be a more potent offensive force than they were with Lee at big forward. Barnes shot just good enough from the perimeter so they had to respect him and has the size and ability to be effective in the low post in the right matchup. This season has been a lost season for Barnes. The Warriors signed Andre Iguodala in the offseason and needed to move one of their starters to the bench to make room. Although my choice would have been David Lee because of the Warriors playoff success in his absence, Jackson chose Barnes. Barnes has not adjusted well to being a reserve wing. Furthermore, he’s logged very few minutes at the big forward spot, which seemed so comfortable to him in last year’s playoffs. The Warriors future as a title contender is going to hinge upon the troika of Barnes, Klay Thompson, and Stephen Curry. Any kind of long term lineup decision that hampers the development of one of those three is counter productive. Barnes has great size and is more of a scorer than a shooter. However, he can score from a lot of places on the floor. He can hit enough threes to keep a defense honest but he can also go in the low post and score. Plus, he has a decent mid range game. As a defender, he has the potential to be very good, especially on the perimeter. He’s shown flashes but hasn’t put it all together yet on that end. Barnes has the potential to be a terrific player. He’s been the sacrificial lamb this season in Golden State’s embarrassment of riches. Clark has had more bad years in the league than good ones, yet I think if he’s put in the right situation, he could be so incredibly useful. He’s got great size and is very athletic for a player that big. Earl works hard on the floor and although he’s not a wonderful offensive player, he’s a very versatile defender. He can defend in the post , but he can also be a long disruptive defender on the perimeter. And even with a weak offensive game, he can still finish around the rack. My Exhibit A in my case for Clark is the season he had last year playing for the Lakers. The numbers were far from overwhelming but he was an important player that their head coach Mike D’Antoni counted on. As a starter for 36 games next to Dwight Howard and Pau Gasol, Clark was a versatile big forward that helped the Lakers match up both big and small a la another L.O All Star in Terrence Jones. It’s a great role for Earl and one where he can excel. When Earl hit free agency, he didn’t exactly find himself flush with contract offers. The Cleveland Cavaliers offered him $8.5 million for two years and he jumped at it. It has not been a good year for anything or anyone associated with the Cavaliers. His production in 15 minutes per game has been paltry. A bad situation is never an excuse for poor play and Clark has certainly had more bad years than good, but on the LO All Stars, Earl Clark , among others can shine.